Let Vicki know if you are bringing a Gift for Exchange. Donations will be made to Community Kitchen. New Board Members for 2019 will be announced. 2018 Principal and Associate Members of the Year will be announced. Come out to 10 East 7th Street this Saturday, November 10th, for the Passageways alley space free block party! There will be music, food, dance performances and more to celebrate the opening of City Thread. Don't miss it! Many of you have responded. If you plan to attend but haven't responded - please do so as soon as possible. 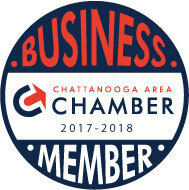 BOMA Chattanooga would like to thank SpareTime Entertainment for hosting our get together on April 28th. We had a fabulous time, and were amazed at the quality and look of the new facilities. If you are looking for a place for good family fun or to host a private event, the bowling lanes at SpareTime and the VIP Area are second to none in the Chattanooga area. Thanks again from all of your friends at BOMA Chattanooga!